Jessie Chan-Dorman, a Fonterra Shareholders’ Councillor, won the coveted title out of a group of three finalists which included CEO of Sirona Animal Health Claire Nicholson and agribusiness consultant Jolene Germann. The awards ceremony was held tonight in Queenstown as part of a gala dinner at the Dairy Women’s Network’s annual conference. 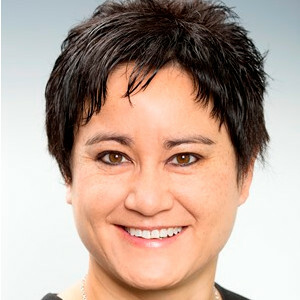 Chan-Dorman, whose peers say is equally as confident at a grassroots level as she is in her governance and leadership roles, is director of the Ashburton Trading Society and is a Fonterra Shareholder representing farms in Rakaia. In addition to being a Fonterra Shareholders’ Councillor, she is also on the Holstein Friesian New Zealand External Affairs Committee and a member of the Institute of Directors and New Zealand Asian Leaders. With a career spanning farming through to business and governance, Chan-Dorman’s experience stems from her roles in large organisations such as DairyNZ and Environment Canterbury, and volunteer positions with Federated Farmers, the Land Use Futures Board, Land and Water forum and Ballance AgriNutrients as a judge for their farm environment awards. Dairy Women’s Network CEO Zelda de Villers says Chan-Dorman is a worthy recipient of the title, citing her positive role modelling for others in the rural sector and her ability to work across all aspects of the dairy spectrum. “Jessie’s career over the past decade has seen her add extraordinary value to the business of dairy in New Zealand,” she says. “It’s clear that across the variety of roles she has had, from volunteering through to business ownership and governance, she has made it a priority to share her expertise and give back where she can. “Jessie also brings her diverse experience and background through various forums to influence outcomes. She’s unique in that she recognises that issues need representation from different perspectives and she’s not afraid to have tough conversations. Fonterra General Manager NZ Industry Affairs Jo Finer says Chan-Dorman is deserving of the award. “What quickly became clear in Jessie’s nomination is that she’s not afraid to get her hands dirty, but is more than capable of seeing the bigger picture at the same time,” says Finer. “Experience like Jessie’s is incredibly valuable in this industry. Chan-Dorman says the award is great step for her to continue role-modelling dairy leadership to her peers and those looking to come through the ranks. “I see myself further influencing change by being involved at a governance or representation level in our cooperatives and advocating for the next generation to get involved in the industry with skin in the game. Chan-Dorman receives a scholarship prize of up to $20,000 to undertake a professional/business development programme.